When clinics bill health insurance companies directly, the providers are required to become participating providers. The provider must sign a contract that allows the insurance company to determine which services they will and will not provide and how much they can charge for those services. In general, insurance companies are not focused on any preventive or wellness services. They are heavily invested in the conventional model of health care that too often relies on drugs and surgery. 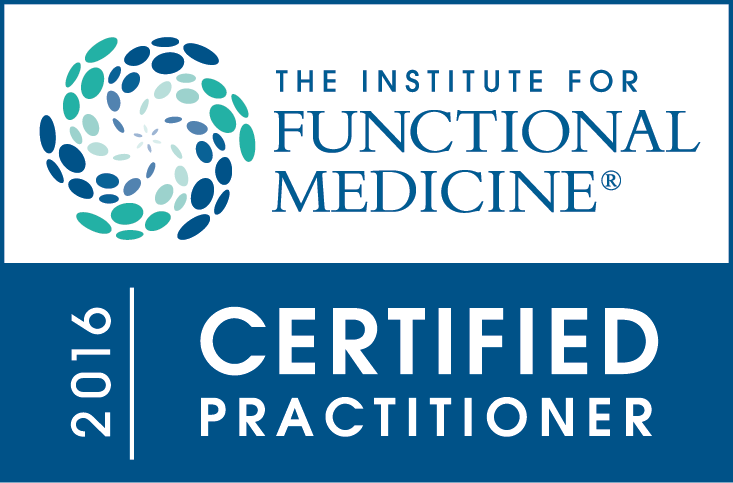 We are committed to the functional medicine model that addresses the underlying causes of your symptoms with specific nutritional and lifestyle recommendations. A participating provider must agree to accept the fees the insurance company establishes, regardless of whether the fees are reasonable or applicable to that practice. In general, these established fees cover the actual cost of the briefest (and we believe the lowest quality) care. The providers who are participating providers are required to accept discounted fees for their services, and they cannot bill the patient for the difference between their fee and what the insurance company will pay. Therefore, the clinic must write off the difference, often as much as 50% or more of the doctor’s fee for service. At the same time, the participating provider’s office overhead costs have increased dramatically because of the staff, time, and equipment necessary for processing and tracking claims. In today’s healthcare environment, the actual cost for provider to provide services continues to rise, while the percentage of reasonable fees that insurance payments cover is declining. At the same time, the profits of health insurance companies and the salaries of their top executives continue to rise to record levels. Most providers and clinics cope with the requirements of being participating providers by keeping their office visits very brief, so that they can see many patients within a given time frame. When their clinic becomes unprofitable, it must be supported by another institution. Most primary care medical clinics are not self-sustaining financially and have had to merge with hospitals whose expensive, high-tech surgical and diagnostic procedures are priced to keep the clinics afloat financially. Most chiropractic clinics keep office visits very brief and see many people per hour. Ironically, some of our patients complain about their extremely brief and unsatisfactory office visits in other chiropractic and medical practices, while at the same time expressing frustration that we do not accept insurance. Unfortunately, we have found that we cannot be participating providers in the insurance networks and provide the time-intensive, well-researched, expert intensive care that we do. Some patients have asked why we charge for follow-up consultations regarding lab results and exams, as well as for telephone consultations, when other providers do not. Our providers are not salaried, as are providers who are employed in large clinics and hospitals and whose salaries are partially subsidized by expensive diagnostic and surgical procedures and hospital fees. Our providers’ pay is based solely on the time and services they provide. Like all non-salaried professionals, including lawyers and accountants, our provider must charge for their time so we can afford to provide you with care and remain in business. In general, we charge only for our face-to-face time with you. Our providers spend considerable non-reimbursed time each week consulting with each other (and other providers) regarding your care, reviewing your records, and meeting with staff to improve the quality of our services. In follow-up visits, our providers spend significant time discussing your results with you. For example, it is relatively simple to inform a patient that her mammogram is negative; but it is entirely different to discuss the results of more complex functional evaluations and to recommend practical lifestyle and dietary strategies that may help to prevent breast cancer. Patients often complain that conventional providers do little to nothing in the way of truly preventive medicine. We want you to understand that preventive health care takes considerable time and expertise on the part of the doctor and that someone has to pay for that time and expertise. Some patients may have the mistaken impression that our providers take home the majority of the fees we charge for their services and that the providers have a great deal of leeway to offer discounts for those fees. In fact, our providers take home only a fraction of the fees collected for their services. This is because a clinic like ours requires highly trained staff and extensive, expensive professional continuing education. The majority of our fees support the overall mission of providing high-quality natural health care, not the providers’ paychecks. Our providers have chosen this work because it is their passion and their calling and certainly not because it is a way to make a lucrative income. In fact, most medical providers and chiropractors who choose to practice functional medicine know that their income will be substantially lower than it would be if they were practicing in a more conventional manner that is fully supported by the healthcare reimbursement system.